Taipei, June 5 (CNA) An electronic toll collection (ETC) systemon Taiwan's highways has not met stipulated targets, prompting theNational Freeway Bureau to consider terminating its agreement withthe contractor and nationalizing the business, the bureau saidSunday. The bureau said Far Eastern Electronic Toll Collection Co. (FETC)has failed to meet previous usage rate targets and would again breachthe terms of the contract by not hitting a 60 percent ETC usage rateby the end of June. The usage rate measures the percentage of cars driving throughtolls on the country's highways that use the ETC system. 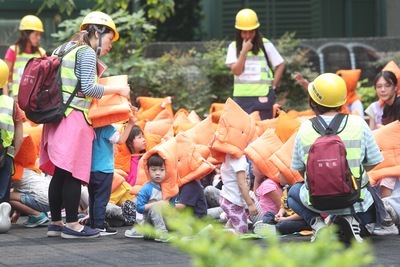 Unless the contractor comes up with a long-term solution by theend of June deadline, it will face a daily fine of NT$500,000(US$17,444) for not hitting the contractually stipulated target,bureau officials warned. The bureau said it will make a decision on whether to continueoperating the ETC system under a build-operate-transfer (BOT) basisby the end of June. FETC first failed to hit a target in June 2010 when the usagerate was below the stipulated 40 percent. It was given a one-yeargrace period by the government to correct the problem. In response, FETC launched an incentive plan last Novemberallowing motorists to try the ETC system without having to set upon-board ETC units costing nearly NT$1,200. The plan, however, has only drawn 70,000 new applicants to date,barely increasing the number of ETC system users, which currentlystands at 1.14 million cars. The company has also suggested many times since 2009 that thegovernment offer a 20 percent discount on tolls for ETC users, butthe bureau has never approved the idea. The agency argued it would not be fair for ETC users to receivepreferential treatment at the expense of other motorists andsuggested instead that the company distribute ETC units for free toboost the usage rate. FETC rejected the idea on financial grounds, saying it would costthe company NT$7 billion and create severe financial difficulties. The system is part of a broader government effort to save energyand reduce carbon emissions, and was also to serve as the basis for aswitch of the country's toll system to a fully-automated,distance-based toll collection system by 2012. Though the ETC usage rate remains below 45 percent, FETC said theenvironmental benefits of the technology have been obvious. The system has saved 779 million toll tickets alone, which ifstacked would be as high as 179 Taipei 101 buildings, the companysaid, also pointing to savings of 4.65 million liters of gasoline and85,000 tons of carbon emissions.